This post is brought to you by BMW Advanced Diesel. Clean. Powerful. Efficient. BMW wants to hear your feedback on the Diesel model.Please help out by taking this quick survey. Over the past week I’ve been driving a BMW 535d. It’s a twin turbo, 256-horsepower sedan that the German automaker has chosen to power via a diesel engine. A risky move, when you’re talking about US-based customers who have a history of being quick to believe rumors about diesel instead of facts. But what I’ve found is that, if you’re willing to pay for it, luxury, speed and economy don’t have to be mutually exclusive. BMW had asked me to pay particular attention to the torque of the car, so let’s start with a bit of a lesson. To put things into very plain English, torque is what gets the car moving while horsepower is what keeps it there. One of the often-spouted falsehoods of diesel engines is that they don’t accelerate very well. Venturing a guess, I’d say that it’s because people equate diesels with 18-wheel trucks that are meant to have huge power at low speeds for pulling loads. 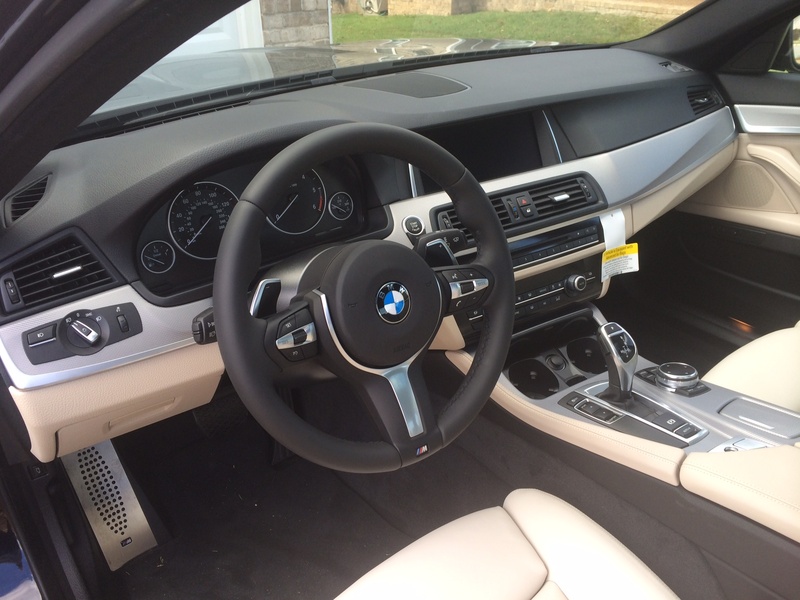 Looking at the car that I’ve been driving, it sits firmly in the middle of BMW’s pricing and features lineup. MSRP for my demo 535d was $66,425. For that price the car gets the M Sport, Lighting and Premium packages, as well as a $1,300 option for “multi-contour seats”. The sport automatic transmission, which gives paddle-based shifters, tacks on an additional $500 but makes the driving experience just that much more enjoyable. As we talked about in the lead-up post to this week, BMW has managed to pack in 413 pound-feet of torque to the 3.0 liter engine. While there is an economy driving mode that trades off fun for fuel economy, driving the car in either the Comfort or Sport modes lets the engine really come to life. An eight-speed automatic transmission means that low shift points are engaged for economy, but the car is allowed a bit more muscle in the sport modes, and a 5300 RPM red-line pushes the car from 0 to 60 miles per hour in around 5.7 seconds. But what about daily driving? That’s been the focus of much of my testing, and I can tell you that BMW’s three-way marriage of power, speed and economy is incredibly impressive. For instance, the freeway on-ramp nearest my house typically requires you to go from a full stop to highway speeds in a relatively short amount of time. Tearing through the gears in Sport mode, I found myself wishing that the ramp was longer, simply because the experience was fun. Passing is an equally enjoyable experience. At cruising speeds, you’ll barely be depressing the accelerator. A firm tap is all that is required to bring the inline-six engine to life, rocketing you far past the posted speed limits perhaps faster than you’d like. It wasn’t at all uncommon for me to be driving along comfortably, only to look down and realize that I was moving far faster than I should have been. Perhaps if my daily driver were as quiet and subtle on the road as the 535d I wouldn’t have been taken so much by surprise, but the BMW is the strong, silent type and it almost begs to be driven aggressively. If you care more about saving gas than burning it, the 535d is equally friendly. 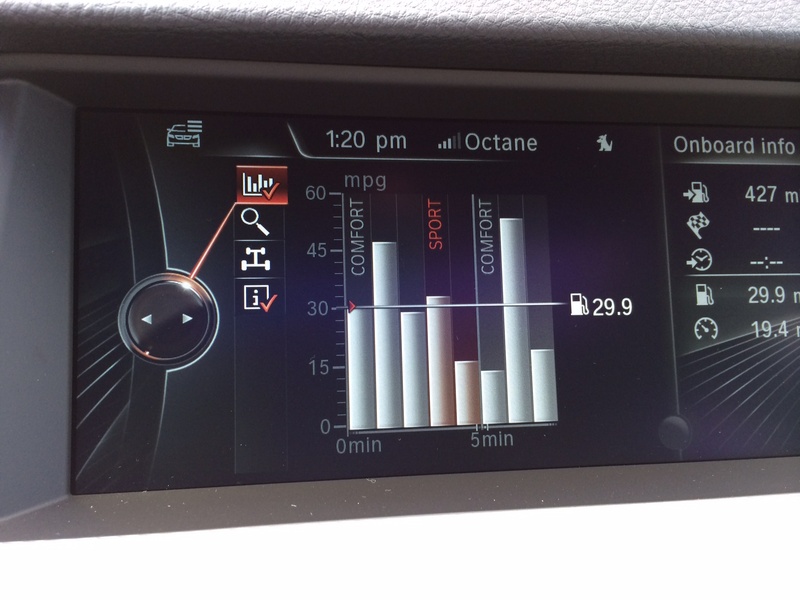 While the stated MPG estimates show 26 in the city and 38 on the highway, I regularly saw 40-41 miles per gallon when in economy mode. Fortunately, the car still has power at the ready should you need it, so even staying green can remain a fun driving experience. In fairness, there are a couple of things that I’d have to mention as considerations. The diesel-powered engine is a bit louder than its gasoline counterpart. It’s not so loud as to be annoying, but the loping-engine sound is notable. However, for an engine that can take a 4,250-pound car, driving 75 miles per hour, and still allow it fuel economy in the high-30s? I’ll take a little noise. The other point that I’d make is that the car’s styling cues are being infringed upon by lower-priced brands. Expect BMW to notice, and to make sure that their cars stand out as luxury drivers as model years pass. 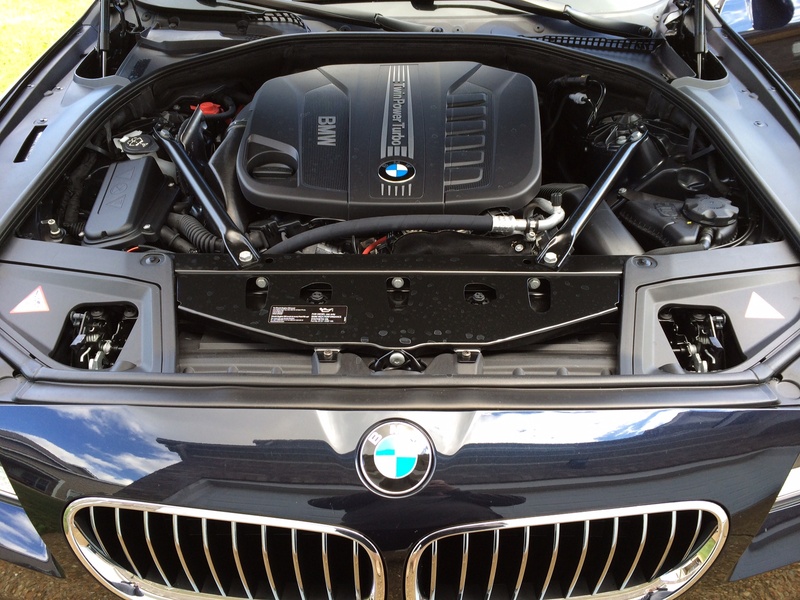 The short version of the story is this – BMW’s 535d is proof that diesel-powered cars have a place in the US market. It’s incredibly comfortable, fast enough to scare you and frugal enough on fuel that you can feel good about driving it every day. The gauntlet has been thrown down, and I can only hope that we’ll see more manufacturers follow suit.